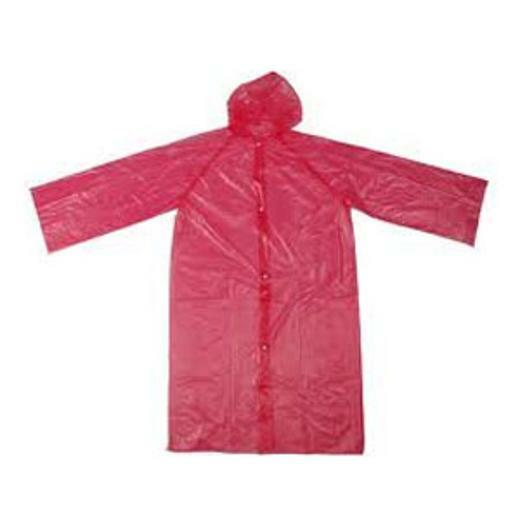 1 Red Adult Size Raincoat. Hooded plastic raincoat for emergencies, sporting events, travel. This adult size poncho can be disposed of after one use or reused over again. It's compact size make it ideal for travel and can even be tucked into a purse or bag for quick deployment in cases of unexpected rain. Stash them in your car, home and office. L: 5.0 in. W: 4.0 in. H: 0.5 in.